This valley starts just after Uchisar Castle. When you go down from the castle you will see fantastic shapes and can have a break in a cave cafe there. 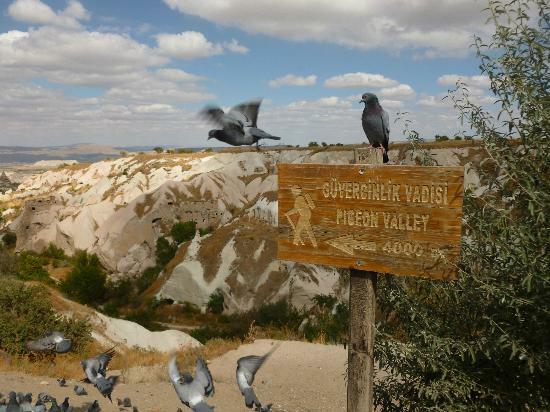 When you go on the way to Goreme it is easy to explore this valley.Only follow the signs and be careful not to fall from rocks. If you are adventurous you have to walk it to get a sense of how this area looked in the past. 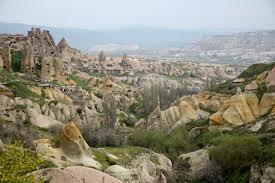 Beautiful geologic feature plus hidden homes. You may not see many pigeons but you can see many nests carved by them thousands years ago. Pigeon valley is good for walking and interesting. It is a bit difficult to hike up the end of the valley towards the village. Do not try this without good walking shoes, as you might slip on the lose sand and fall into the ravine. 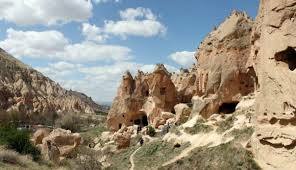 If you are not into adventure, you can just walk the same way back to Goreme.